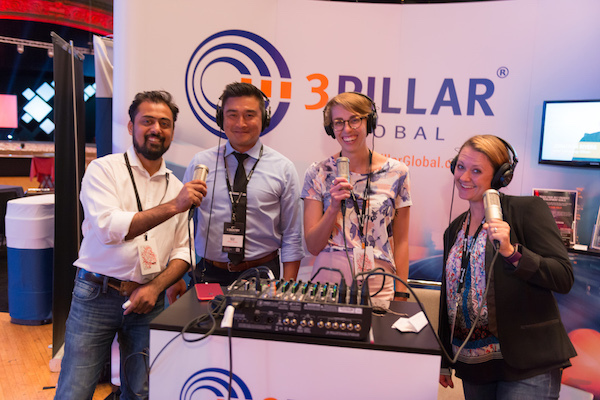 On this special double episode of The Innovation Engine, the 3Pillar team interviews many of the speakers who took the stage at Industry Summit 2017. Industry Summit is an annual product-focused conference that features talks from a wide range of product leaders and tech visionaries. This year’s conference doubled in size over 2016, and the event’s organizers are expecting the event to double in size again next year. 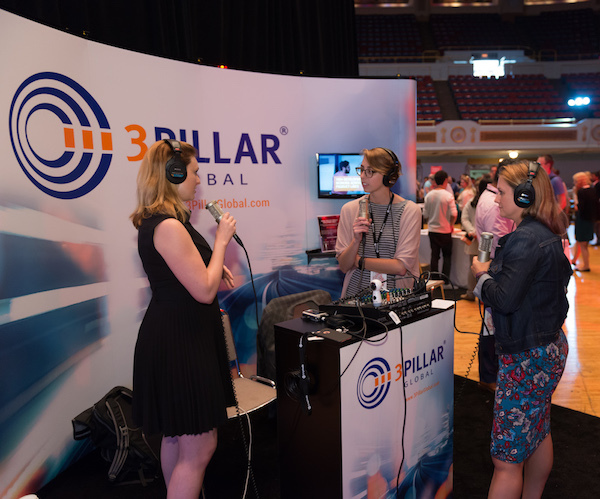 Industry Summit took place on September 14th and 15th in Cleveland, Ohio. Among the speakers at the event who we had the privilege to interview were Nancy Kramer of IBM iX, Blade Kotelly of Sonos, and Bob Moesta of the Re-Wired Group, who is one of the founders of the Jobs to Be Done Framework of product development. Because there was so much footage from both days of the conference, we are breaking it down in to 2 separate episodes – one consisting of interviews from the first day of the event and one with interviews from the second day. You can tune in to the full episodes using the SoundCloud embeds below, or you can jump to specific interviews in the highlights sections below. [1:20] Blade Kotelly, Leader of the Advanced Concept Lab at Sonos, discusses the secret of designing for innovation (and why most companies accidentally prevent it from happening). [11:00] Josh Anon, former Director of Project Management at Magic Leap, discusses storytelling for product people. [24:00] Melissa Perri, CEO of Produx Labs & Product Institute, discusses how businesses need to restructure their thinking to focus on finding value for the user through experimentation to achieve their business goals (and avoid “The Build Trap”). [31:30] Bob Moesta, President & CEO of the Re-Wired Group, shares his Jobs-To-Be-Done system, which is about 25 different methods he built or acquired through developing over 3500 products. It’s all about the customer, and understanding the progress that customers are trying to make. [46:30] Anthony Marchionda, Associate Producer at Purple Films, who created the intro video for the summit, talks about his favorite part of the conference and telling authentic stories. [50:00] Vern Kennedy, President of ActiveWrite, discusses his solutions-based selling strategy, and how it helps to build products that will turn customers into champions. [00:50] Nancy Kramer, Founder & Chairman of Resource/Ammirati, which was recently purchased and re-branded as IBM iX, discusses the power of evangelism and offers great advice for women who want to be in a tech industry. [07:20] Jim Foxworthy, President & CEO of Pragmatic Marketing, discusses transitioning into the CEO role for the first time. [14:35] Ellen Fink, a consultant for Chick-Fil-A who owns a tool that tracks internal customer data from the mobile ordering app. [18:45] Lior Abraham, Co-Founder of Interana, discusses transitioning from being Facebook developers to running a behavior data analytics company, and creating a new form of interactive analytics. [33:05] Jonathan Rivers, CTO of 3Pillar, shares his experience running the Talk Shop interview series, which gave him the opportunity to talk to every presenter, and his biggest takeaways from the summit. 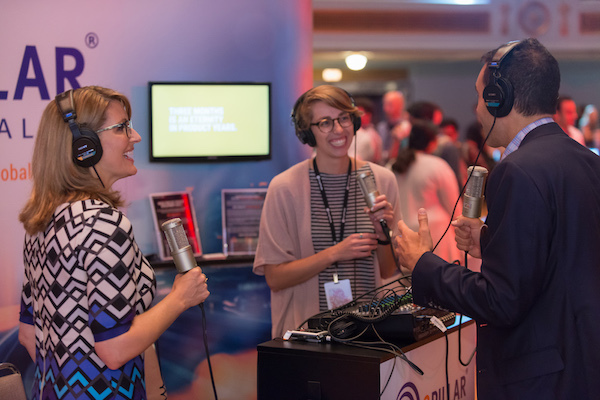 Since 2014, 3Pillar has published The Innovation Engine, a podcast that sees a wide range of innovation experts come on to discuss topics that include technology, leadership, and company culture. You can download and subscribe to The Innovation Engine on iTunes. You can also tune in via the podcast’s home on Stitcher Radio or SoundCloud to listen online, via Android or iOS, or on any device supporting a mobile browser. You can download The Innovation Engine‘s dedicated iOS app from the iTunes App store, and you can subscribe to receive new episodes in your inbox each time one is published.